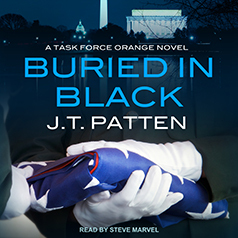 J. T. Patten presents Book 1 in the Task Force Orange series. In this explosive new series, former intelligence expert J. T. Patten takes you deep inside the top-secret operations you'll never see on the news: our deadliest weapons in the war against terror . . . In the clandestine world of shadow ops, he's known as The Man From Orange. A master of surveillance, signals intelligence—and silent killing—special operative Drake Woolf has been groomed and trained by the old-guard intel community after his CIA father and mother were murdered in Tunisia. Now he works for Task Force Orange, handling cases the government doesn't want its fingerprints on. Woolf can always be relied on to carry out an assignment with surgical precision—and exterminate a threat with extreme prejudice. But his latest mission is different. Woolf knows the targets personally. He trained them in Iraq to be the perfect killing machines. Known as the "Mohawks," these Iraqi rebels know our secrets, our strengths, and our weaknesses. And they're using this knowledge to launch the deadliest attack the world has ever seen—on American soil . . .